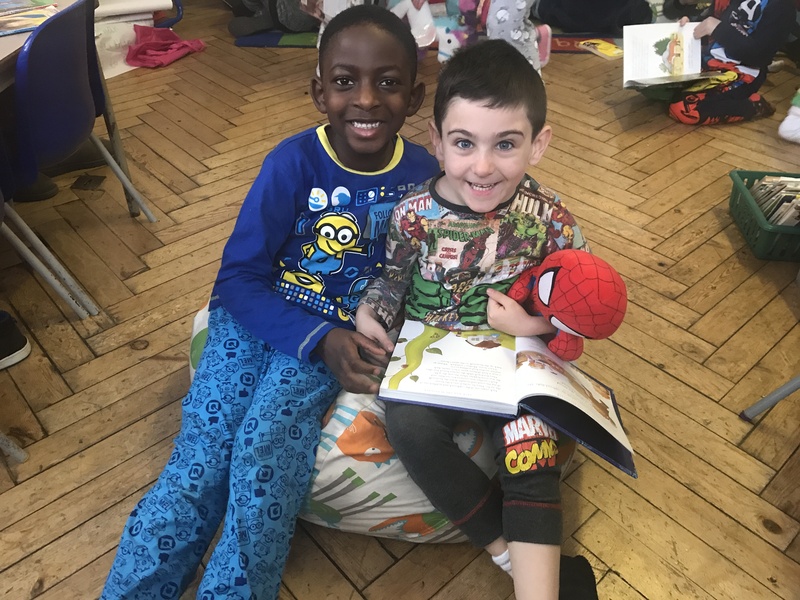 Children in Reception, Year 1 and Year 2 have had a lovely day reading bedtime stories together in their pyjamas! Thank you for your generous donations for this event. 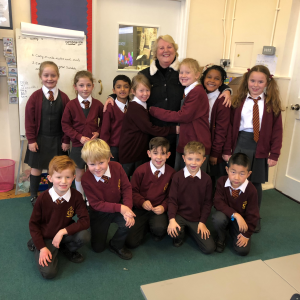 We had a surprise visit from Mrs. James on Wednesday. The children were so excited to see her. 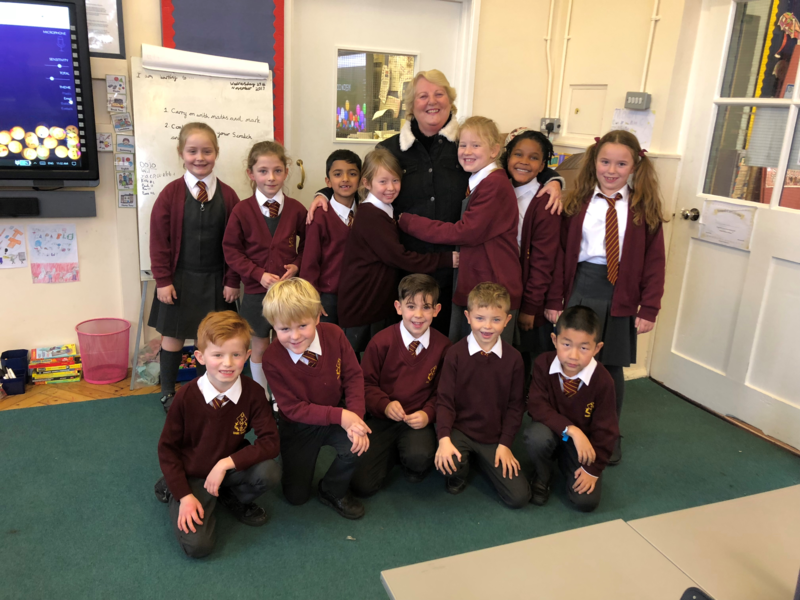 We all miss Mrs. James, but she is really making the most of her retirement and will come back and see us again soon. Today we went to Hornchurch Sports Centre. We won out of 4 classes. We were 10th overall and we got a Respect certificate. We will be having our Christmas Party Lunch on Tuesday 19th December. It should be a really fun event. 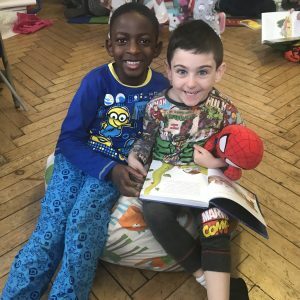 The children will be able to wear their Christmas jumpers and we will have music and Christmas crackers. Lunch that day will be turkey baguettes and rolls, vegetarian sausage rolls, coleslaw, cherry tomatoes, carrot sticks, potato salad, chipolatas, breadsticks and cheese triangles with a festive ice cream dessert. The children will also receive a small free gift, courtesy of Havering Catering Services. Please let your child’s class teacher know if you would like your child to have a lunch (via Dojo or note) by Monday 11th December, as we will need to let the caterers know numbers. Christmas lunch will be free to Reception and Class 1 and 2 and will be £2.20 for children in years 3-6. Those paying for lunch should do so on sQuid. 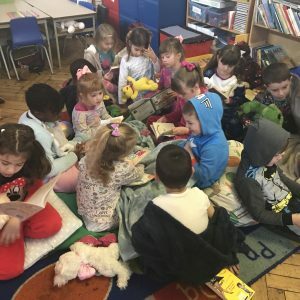 The children in Reception, class 1 and 2 are on a special quest to raise as much money as possible for new equipment and exciting resources for their new classrooms. Reception, class 1 and 2 will be running a School Christmas Bazaar on 13th December at 2pm. There will be a range of stalls and games including a sweet tombola, ‘How many elves on the shelf?’ and Pin the nose on Rudolph. 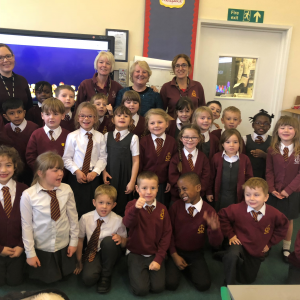 With support from the Friends of Dame Tipping we are also able to offer our Christmas present stall, where the children will be able to purchase gifts for parents and carers. More details will follow. Our Christmas singalong/carol service will take place at St John the Evangelist church from 6.30-7.30pm on Wednesday 13th December. Tickets cost £5 and include a mince pie and warm Christmas punch (non-alcoholic).Tickets can be purchased from a member of the choir or from the school. All money raised will be used to buy resources for our children. Thank you to those of you who have returned your slips for the trip to Brentwood Theatre to see Narnia and for paying on sQuid. If you have a problem setting up your sQuid account, please call Mrs. Wakeman. Vaccinations will take place on Tuesday 5th December in the afternoon. Class 5&6-Elena Marshall, for using good concentration to produce a lengthy piece of writing and Elaina Goodison for her excellent attitude to learning. Reception- Charlie Lockwood, for working hard to remember the words in the nativity songs and for singing beautifully. Class 1&2- Miller Davis, for his excellent effort in writing this week. Class 5&6- Jack Percival, for excellent reasoning on 2-way tables. Congratulations to Elaina Goodison, who has been given the Headteacher’s award for living out our Christian values every day. Well done to Isabelle Mahoney for her level 2 and 3 swimming certificates and her 5m certificate.